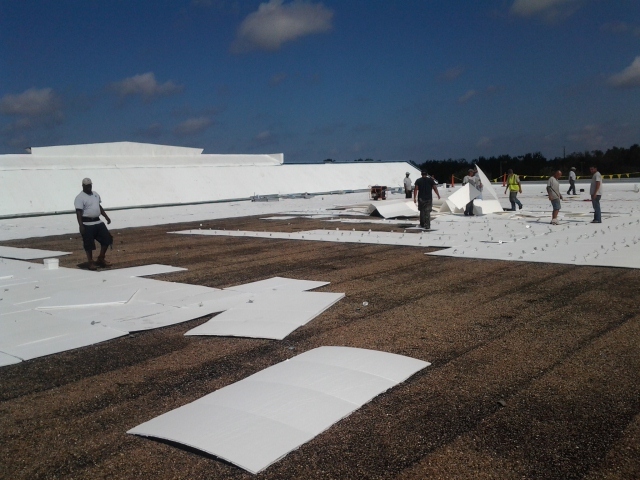 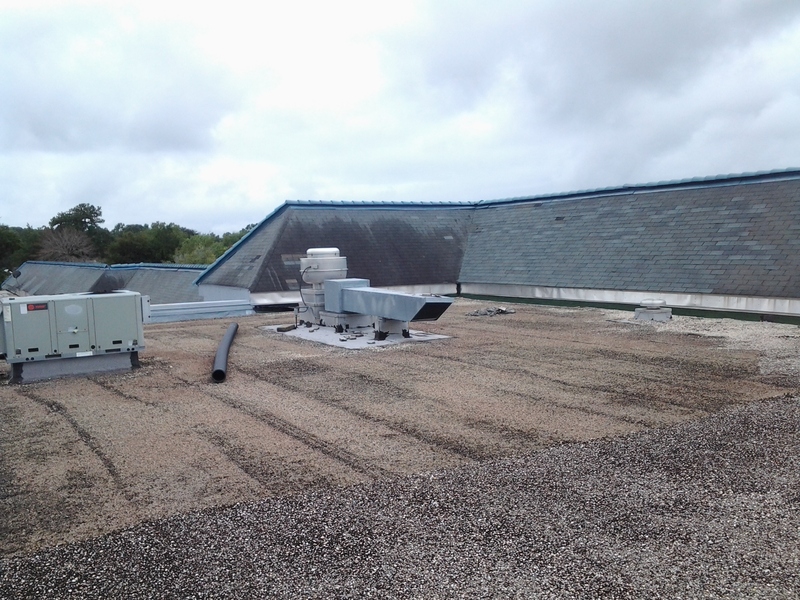 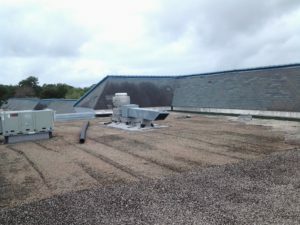 The Roofing Division of Metro Property Services recovered the built-up roof located at 1671 Wells Road in Orange Park, Florida. 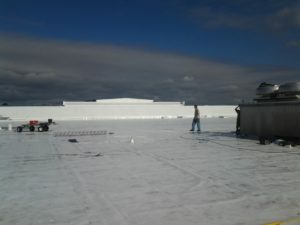 This roof had blisters, cracks, ponding water, and leaked due to age, heat, and ultra-violet radiation that damaged the roof system. 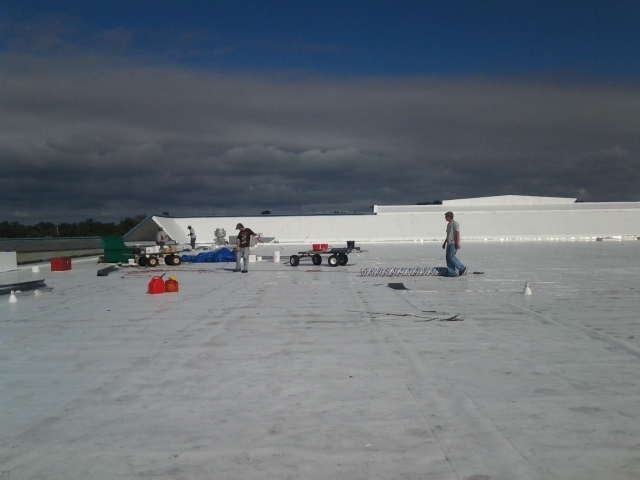 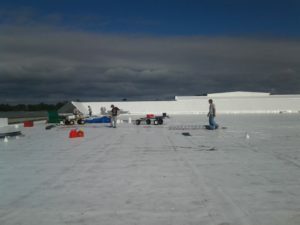 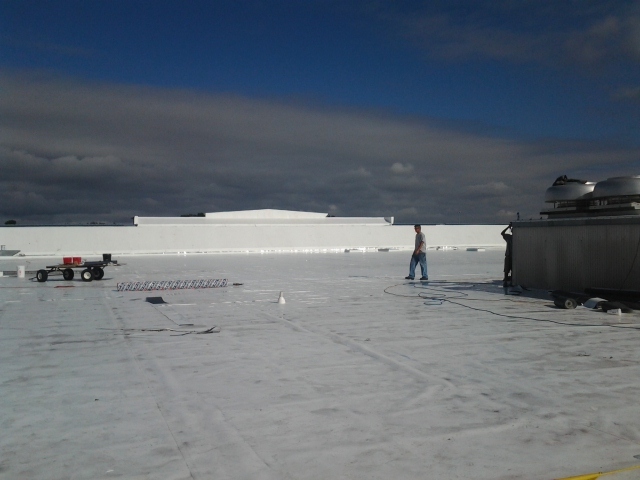 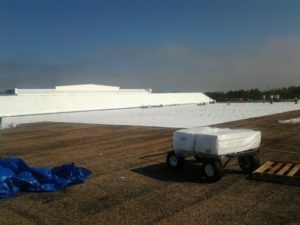 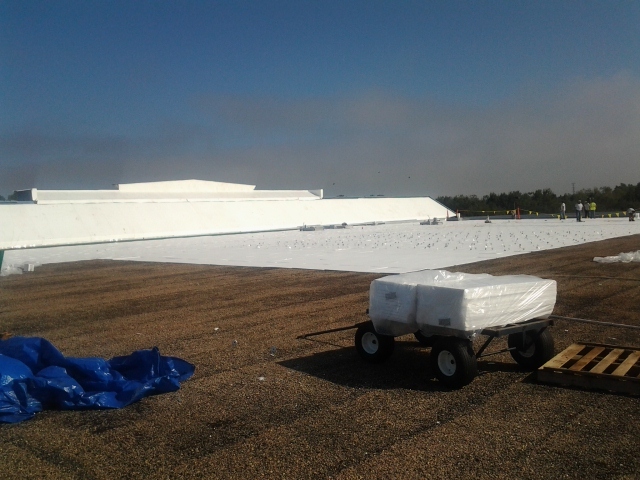 It took approximately three (3) weeks for the 10-man roofing crew to re-cover the 49,000 square foot roof with a 45-mil mechanically attached GAF TPO roof system.